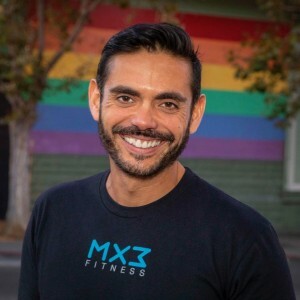 Marcelo’s academic background in Art History and Integral Counseling Psychology have earned him a broad understanding of the psychology of exercise coupled with a trained eye for aesthetic form. His workouts are designed to increase strength, power, and endurance by utilizing a variety of resistance training concepts firmly grounded in exercise science. Marcelo’s clients can expect to achieve a wide range of fitness goals, from fat loss to increases in strength and muscle mass. His training philosophy is grounded on conscious coaching, an integral approach to physical training that combines awareness of mind and muscle tailored to maximize results and deliver optimal training experiences for clients at any level. To put it plainly, expect a challenging and vigorous workout. One on one personal training with Marcelo. Marcelo trains out of our Castro location.